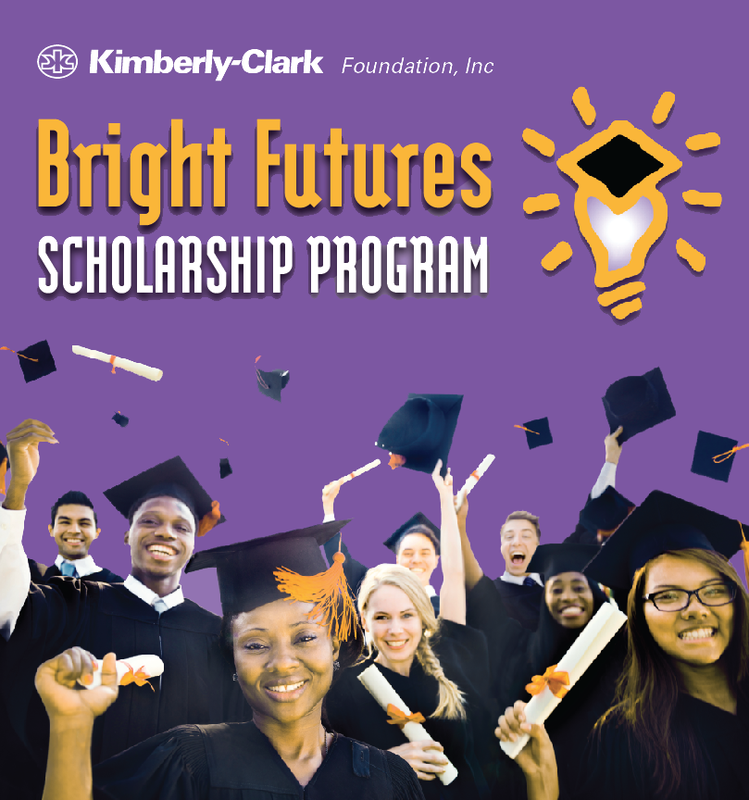 DALLAS, Texas, May 1, 2017 /3BL Media/ — Kimberly-Clark celebrates its 25th year of the Bright Futures Scholarship Program by awarding $1.08 million in college scholarships this year to 54 children of Kimberly-Clark employees across 18 states and Canada. Since its inception, the program has awarded over $39 million in scholarships to more than 2,000 students. Bright Futures scholarship grants are worth up to $20,000, or $5,000 per school year, for full-time students attending accredited colleges and universities. Recipients are chosen based on academic achievement, leadership, work experience and involvement in extracurricular activities. The average GPA for this year’s scholarship class is 3.88, and awardees will attend such top colleges and universities as University of Pennsylvania, Northwestern University, University of Notre Dame and Georgia Institute of Technology. Past scholarship recipients have gone on to pursue successful careers in medicine, education, the armed forces and engineering.